The mini biosphere—which operated for over 212 hours—was shut down as planned on Saturday, said Chongqing University, which designed the experiment. The lander also carried potato and arabidopsis seeds—a plant of the mustard family—as well as fruit fly eggs and yeast. Send another 1 to penetrate the chamber and feed over the decomposed stuff. "What would be causing the decomposition?" that it survived the two weeks frozen. I would guess undetected fungal spores in the soil? If not? If the growing medium was trully sterile? Or the spores failed to survive the down time? With no micro-critter to cause decomposition? The latest trend among American Conservatives is to claim that the entire landing was a fake because the rover landed on the "dark side of the moon", while pictures showed it in full sunlight. Reflections off the metal parts of the rover on to the lunar soil are claimed to be stage markers. You see, GOD will never allow mankind to visit another planet like the moon." Nearly 40% of Americans think the world is flat and a full 40% of Americans are Trump supporters. I was hoping to get to visit the inside of the Hollow Earth. & ride a dinosaur just as all those yec hornswoggling museum dioramas show! Haha...of course, the seedling was supposed to die. This was a very poorly designed experiment. The germination period inside the canister in earth-like environment was the month-long spacecraft journey. The seedling never came out in the open space of Moon. No sunlight, minus 50 C, nothing can survive, even the canister environment is destroyed by Moon. You believe some strange stuff, V4Vendicar. "American Conservatives" encompasses a very large group of people, the vast majority of whom, like liberals and others, have no opinion about the Chinese moon lander (it's not a "rover" since it stays in one spot). I was hoping to get to visit the inside of the Hollow Earth.! You can't visit the center of the hollow Earth because that is where the Moon Nazi's live. There has even been a documentary produced about it. ""American Conservatives" encompasses a very large group of people, the vast majority of whom, like liberals and others, have no opinion about the Chinese moon lander (it's not a "rover" since it stays in one spot)." 98% of American Conservatives support Donald Treason Trump. I have never encountered a conservative who wasn't a congenital and perpetual liar. To repeat, conservative is a individual activity at self-control & acceptance of personal responsibility. Those who claim to be conservatives? Have extravagantly blown through most of the Earth's accessible resources. & are extravagantly attempting to exterminate all life on this planet. Cause a "liberal" told them not to act so rashly. That always seems to trigger infantile tantrums in the self-proclaimed conservative clown posse. 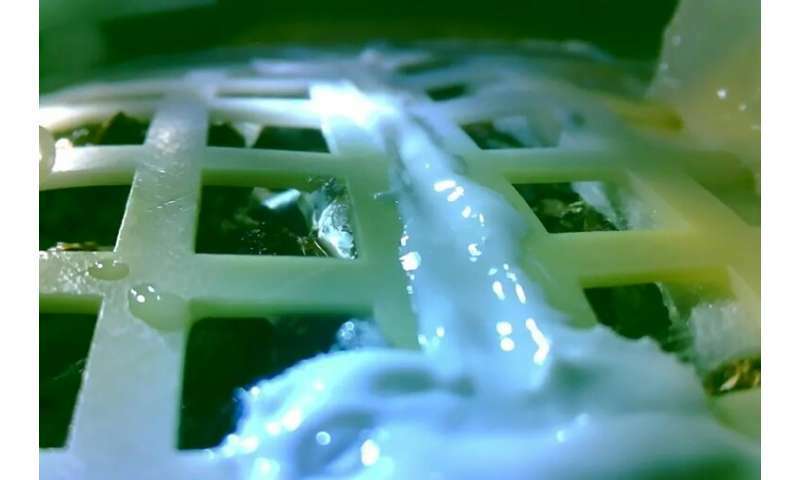 The Chinese are practicing horticulture on the moon in order to develop the capability to grow food for miners when they start mining the asteroid belt. okay jax, you have come up with an entirely colossal new definition of "extravagant". Go to the expense of developing agriculture on the Moon. Then ship the food produced at outrageous expense, a hundred million miles away? Huh, you also have achieved a new definition for "Slow boat to China". Thanks for playing along jax. You make a great straight man for my vaudvillain act! But I don't mind being...stuck in the middle with you....rr'! Looks kinda dumb to me, they're checking if sunlight actually falls there. Remember it's a sealed experiment. Says so in the article. Nobody's stupid enough to try to grow plants on the lunar surface. Oh DS, you haven't been paying attention. Among the sordid piles of crap left behind, right behind, by the Sad Puppy Movement, was the self-delusion that altright fairytails are capable of writing Science Fiction. It is hilarious cataloging all the errors of fact they all share alike. Basically they rehash the same widget on an assembly-line of crappy writing. They have proven themselves incompetent at creating a coherent, description of Life. None of them are farmers or ranchers or even gardeners except for the patch of marijuana they keep in the closet. where they hang out. Incapable of learning a skilled trade or profession. Disabled both mentally & ,morally. Their excuse for screwing up even simple geography? As well as bungling an assortment of other Sciences? That it is more important to be politically correct than factual. To be ideologically pure than make the difficult effort & hard work to accurately describe reality. They are on the far side so they can keep some stuff secret. The Chinese were actually fairly blunt about it by calling it "Jade Rabbit": both are symbols of fecundity. Considering the millions of cheap telescopes. Many now automated with cameras including IR capability? Observing the Moon. & the sophistication of (how many nations now?) assorted spy satellites. Only a fool would think that any secrets could be hidden anywhere on the Moon. Guess what? Landing on the Moon leaves hot rock visible for hours? Days? As well as bare rock surrounded by dust patterns. & only a fool would fool himself into believing that the JCS for the PRCPLAAFSC consists of fools. Yes, that's why they landed on the far side: it can't be seen from the earth's vantage point and so provides some secrecy in space that is difficult to match. You know, the hemisphere behind the "man in the moon"? Likely they would also have been smart enough to time it so the far side was not facing L1 or L2, so NASA couldn't, say, spin around SOHO (if that were even feasible) or maybe some other secret spy satellite lurking on one of the first two Lagrange points. Pretty sure that would leave them with just one lunar orbiting satellite to dodge, the LRO. So much for the millions of telescopes. Tonight was a lunar eclipse, and so that means seven days ago the moon was midway in its orbit roughly equidistant from L1 and L2, and thus much of the far side would have been unobservable from any satellites in either location. That means that whenever the LRO was not overhead, they could have complete secrecy for whatever they wanted to keep secret. I know, it is senseless to ask a bigot to explain, exactly, what he is in such fear of. So? Call me Quixote as I tilt at this windbag. jax my boy. What exactly does have your knickers n such a twist? If the thought of being forced to eat rice has you terrorized? You are much more likely to be forced to eat millet! Rice is a luxury export item for American farmers. Big profits! Or at there were before the senile buffoon tweeted the trade away. Since you are evidently a dewey-eyed virgin at business, engineering &/or logistics? Then, for a megaton of production & support facilities plus all the construction, production, & maintenance personnel and their supplies? For a year for a base of 4cubic hectares? & do the delta/v budget to launch it off this Earth, to that Moon & land it. No cheating now! You got to do the actual math. You have nothing to contribute besides fighting words and sarcasm? (1j that to repeat this experiment on the moon, an experiment done before in the shuttle and the ISS multiple times, the only difference is the degree of cosmic ray exposure outside the earth's magnetic field. A level of exposure consistent with deep space farming on the asteroid belt where food couldn't easily be carted from earth. (2j the only reason to do it on the far side is to keep something else secret, and that is consistent with the timing of the moon's orbit as well.